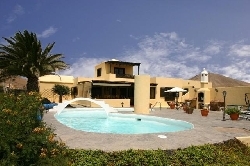 VILLAS AND APARTMENTS TO RENT IN LANZAROTE, SPAIN. 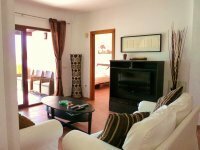 Welcome to our selection of holiday homes to rent in Lanzarote, Spain. Lanzarote is the most easterly of the Canary Islands and is situated just less than 80 miles off the coast of Africa. There are many amazing volcanic features of Lanzarote, amongst them is the Atlantida Tunnel, the longest volcanic tunnel in the world at over 7 km long and includes the La Cueva de los Verdes and Jameos del Agua to the north. One of the most popular islands of the region despite the volcanic nature, Lanzarote has several beautiful white beaches many of which feature yellow or white sand; a few have black volcanic sand or pebbles. As well as the central resort beach, there are beaches catered towards the family and those towards watersports, amongst others. And if you manage to tear yourself away from the beaches, there are also a large number of varied places to do and go sight-seeing, rich in culture and history. Lanzarote has a great nightlife with many great bars, clubs and restaurants throughout. The restaurants offer a great eating experience whatever you may enjoy, from the more traditional Canarian and Spanish cuisines to the more typical English, Italian, Chinese and Indian restaurants. There are currently at least two golf courses which are eighteen holes each and is becoming a growing interest on the island. The courses offer golfers stunning views of both the coastline and mountains making playing a game even more pleasurable. Other activities include horse riding and even camel riding at the Lanzarote a Caballo, whereas the Rancho Texas several animals to see such as birds of prey, white tigers, pumas and bisons plus you can swim with sea lions for an unforgettable experience or you can have a great night out watching the live band The Texas Bandits, watch the line dancing skills of the Cowboys and Cowgirls while enjoying a western style BBQ buffet. Whatever your age or interests, there will be something to delight and be entertained by. In contrast to the south and the middle of the island, the north is much quieter and peaceful but offers visitors beautiful scenery and tranquility with some outstanding views to be had. The Caleta de Famara beach in the north-west of the island is at the base of a magnificent two thousand foot-high mountain range. 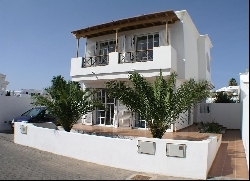 Looking for self catering holiday accommodation in Lanzarote? 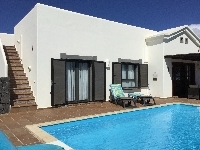 Then below is a selection of holiday apartments in Lanzarote and holiday villas in Lanzarote that can be rented direct from their owners. You can either click on each listing for further details or you can use our search engine on the left if you are looking for something in particular.